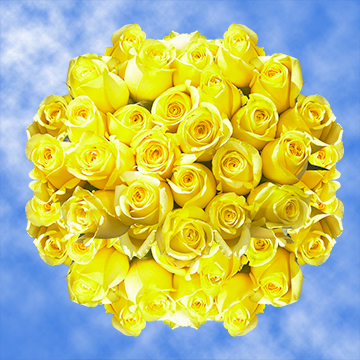 These Yellow Rose Flowers, are dubbed the Citran Rose, and are the gold standard of the floret world. 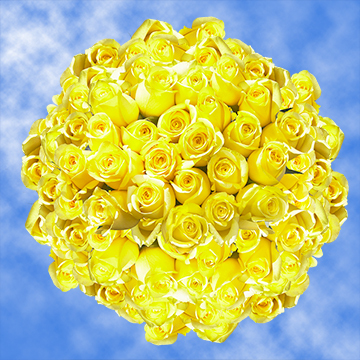 No other blossom has such a golden sun like quality that radiates with such intensity as these buds. They are perfect for a summer picnic, fall party, or a radiate spring wedding. 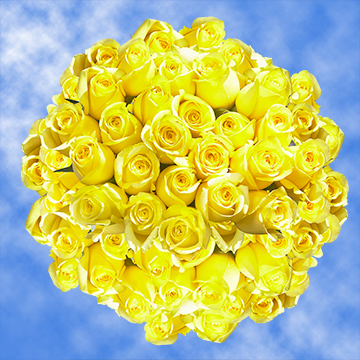 These can be put into a bouquet or given as a gift to a friend who could use some sunshine in their life. 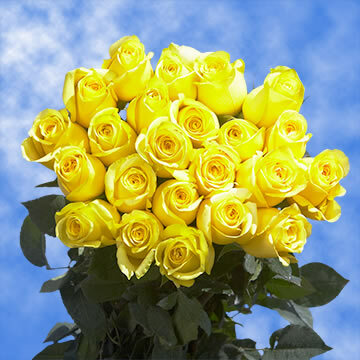 They can be used to cheer up an old friend, congratulate a new graduate, or just to bring some happiness to the one you love. 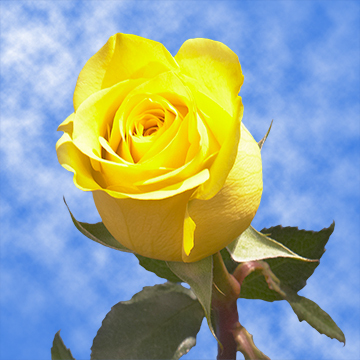 Globalrose.com grows all of its products in technologically advanced greenhouses using only the most modern of techniques. Our blossoms are grown in an environment where Mother Nature can thrive and provide what she needs to make the very best florets. 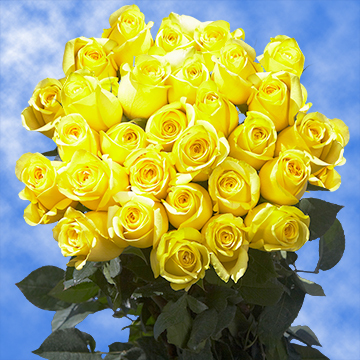 We take great pride in our Yellow Rose Flowers and we choose to only ship them through FedEx as they have a long track record of quick and speedy deliveries. 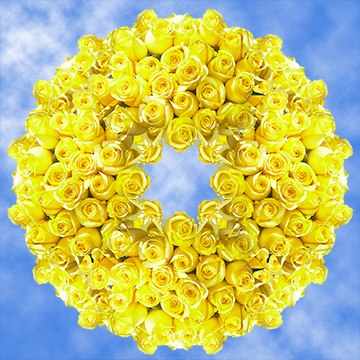 Once your orders arrive at your door, please allow two to three days for the bulbs to bloom to their full star shaped form. Our products are grown in the best of climates and we are allowed to grow them all year long.